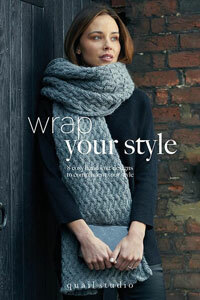 Rowan Pattern Books - all of the newest pattern books that support Rowan yarns. Included in the Rowan Pattern Book Collection are books by Amy Butler, Kim Hargreaves, Kaffe Fassett and more! Select options on sale now! Malabrigo Book Series - Book 13: Shawl Road and Aleks Byrd Color & Knit, Mittens are both similar books: accessories category. You may enjoy taking a look at the Rowan Hemp Tweed Oswald Owl Pillow , Rowan Denim Revive Waverly Cowl, Rowan Baby Cashsoft Merino Tamson Pullover, and Rowan Felted Tweed & Kidsilk Haze Solveig Hat kits all using Rowan Pattern Books.